Take this 5th Grade Place Value Test to test your knowledge about place value through millions. This test has ten problems: four multiple choice, three fill in the blanks, and three matching/drag-and-drop problems. name tenths, hundredths, and thousandths as decimals. Read and write decimals to thousandths using base-ten numerals, number names, and expanded form. 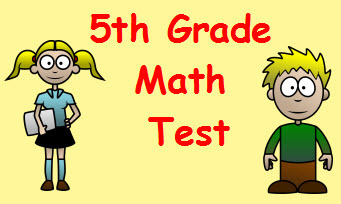 Return from this 5th Grade Place Value Test to the Elementary Math Tests , 5th Grade Math Tests webpage, or to Math Tests.